BEAUTIFUL CONDO! Looks over Blacklick Creek Ravine! First floor Owner’s Suite. Full, finished walkout Basement with gas fireplace. Black granite counters with stainless steel appliances. First floor features wood floors. Tile floors and new fixtures in the Bathrooms. Condo features wood deck and concrete patio. Patio includes newly built flower beds. Has 2 car attached Garage. Community features pool and clubhouse with workout facility. 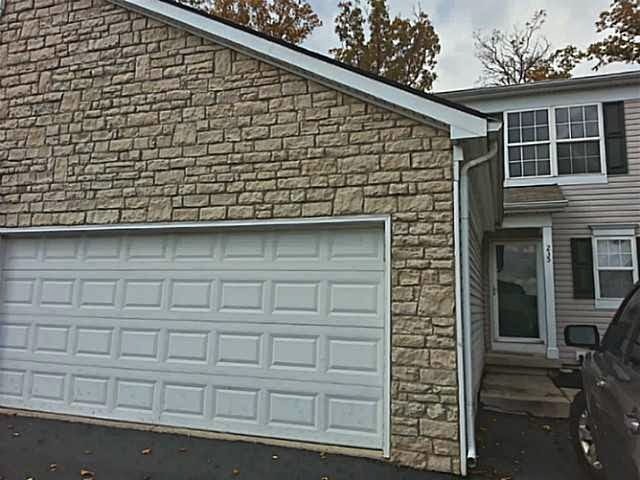 Located close to shopping, 20 minutes to Port Columbus and Easton. FHA assumable loan. 3 BR’s, 2 Full & 2 Half Baths. Over 1,700 SF! Licking Heights Schools. Only $127,900! Call DeLena today!